In business since 1991, we here at Eagle Road Service and Tire have built our entire business on being the leader in superior service, while still maintaining the most competitive rates in the industry. That is where our tag line "Where Service Meets Value" came from. We have changed the dynamics of the tire industry from one of just "selling tires", to a "fleet management" company. We are invested in our customers to the point where we want to offer the best options in tires and service that will extend the life of their fleet, while saving their bottom line as well. 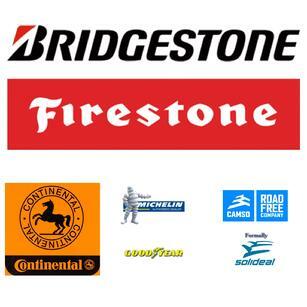 We are the only company in Southern California that that can claim to be an authorized dealer for Bridgestone/Firestone/Dayton, Goodyear, Michelin, Continental/General, Camso/Solideal and we are also a Bandag Retreader. We have 30 employees and are equipped with a fleet of trucks, as well as a boom truck and solid forklift tire pressing capabilities; which allows us the flexiblity to handle any size tire in any area that we serve.